Dreissen, Singleton, Burkes Beach and Folly Field are some of our beautiful newer Hilton Head communities situated mid-island. Its mid-island location allows for easy access to Hilton Head’s world famous restaurants and shops as well as the miles of bike paths that stretch from one end of the island to the other. Shopping and dining are within a short drive or bike ride from Dreissen, Singleton, Burkes Beach and Folly Field. You will love the convenience and the privacy of this very special place on the island. Our Burkes Beach, Dreissen Beach, Singleton Beach & Folly Field Hilton Head rentals offer gorgeous white sandy coastline practically right outside your front door. 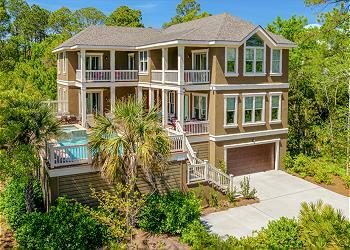 Book one of these vacation rentals in Hilton Head and make it your new favorite vacation destination! From oceanfront complexes with all the amenities to wonderful homes, these properties have all you are looking for when planning your next Hilton Head Island vacation. 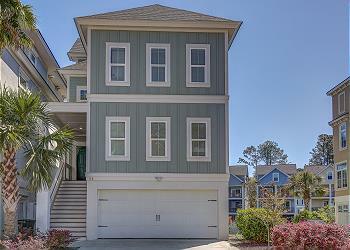 Gorgeous new build is just a short walk to the beach from a quiet seaside community in Burkes Beach. 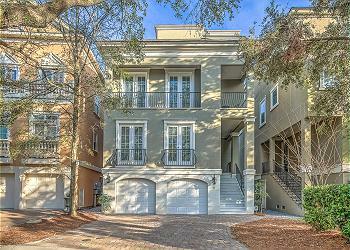 This fabulous home 5BR, 4.5 BA home showcases a private screened in *heated pool!